The FP 3000, with a pressing power of 28 tons, is excellently suited for the compression of light sheet-metal or rolling hoop barrels. The residual fluids discharged during compression are collected in a collecting basin. The robust and reliable technology makes this press almost maintenance free. With short cycle times and very simple handling, the FP 3000 represents an economical and effective waste management solution. 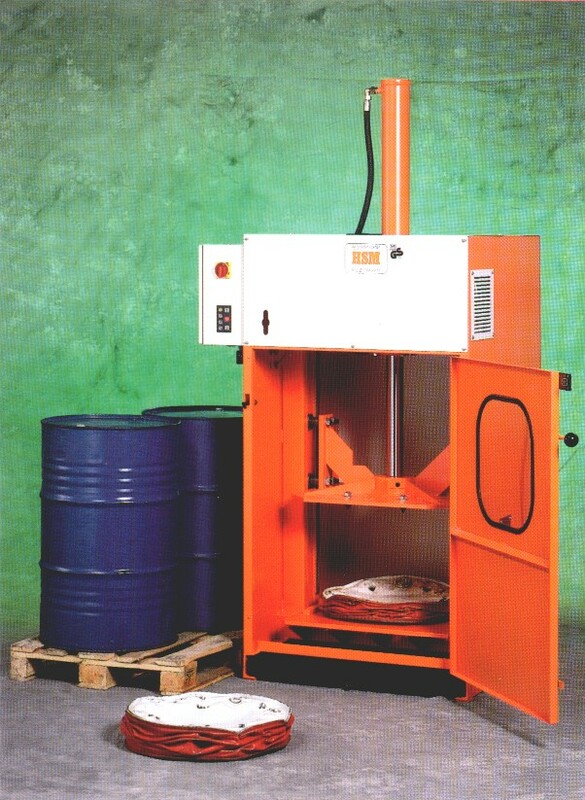 It is also available in an explosion-proof version when barrels with combustible residues must be compressed. The operation is then optionally performed via hand-lever control or push-button control.  State-of-the-art HSM technology provides high economic efficiency. Technical and optical modifications reserved.